A few days ago a mate of mine reached out asking me the following question: Can you buy ripple on Coinbase? The answer is no and yes. 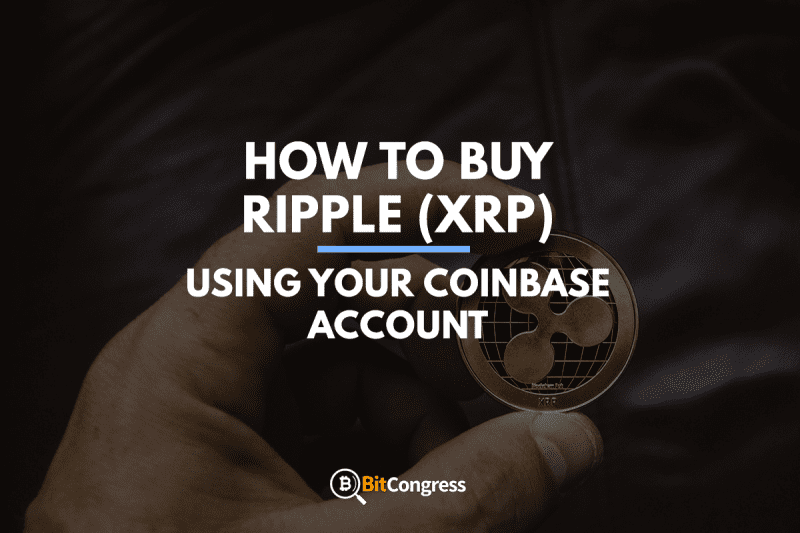 You cannot (currently) buy XRP on Coinbase, but you can, however, buy another cryptocurrency on Coinbase, transfer it to an exchange and trade the cryptocurrency for Ripple. The interest in Ripple has grown tremendously during the last couple of months due to the price increase as well as that banks seem to love Ripple (read more on why banks love XRP here). In this article, however, we will not focus on what makes Ripple so good and why you should invest in it, rather we will show you how to use your Coinbase account to buy Ripple. Why We Prefer Coinbase to Buy XRP? Having a Hard time Picking a Ripple exchange? First, you deposit money into Coinbase in EUR or USD. If you already have some cryptos on Coinbase, this won’t be needed. Then, grab the Bitcoin public address from your cryptocurrency exchange, this is the address you will use to receive Bitcoins in the future as well. Make sure that you don’t change the address in the slightest since sending Bitcoin is non-refundable and if you have 1 error in the code it might send to someone else’s wallet, and not yours. It’s advised to send a test amount of $1 to make sure it is working properly. Once you have tested and sent over the amount to the exchange of your choice, it’s time to exchange the Litecoin, Bitcoin, Ethereum or Bitcoin Cash for Ripple. And voilá, you have bought Ripple on Coinbase (sort of)! We hope that, in the future, Coinbase adds support for Ripple so that you don’t have to go through this hassle to buy Ripple on Coinbase. Even though this method might seem a bit confusing at first, it is a very simple process and usually doesn’t take more than a few minutes to get done. A lot has changed in the crypto world since the past one year and the guide had to updated accordingly. The earlier method still works but now you can buy XRP on Coinbase directly with a debit or a credit card. Here is a quick brief of the process to buy XRP on Coinbase! Step 2: Once you have signed up confirmed your email, you will have to undergo a verification process. This is pretty simple, you have to upload any one of the requested government ids(id with photo). This is done to verify your Identity and to keep the platform free from spammers. 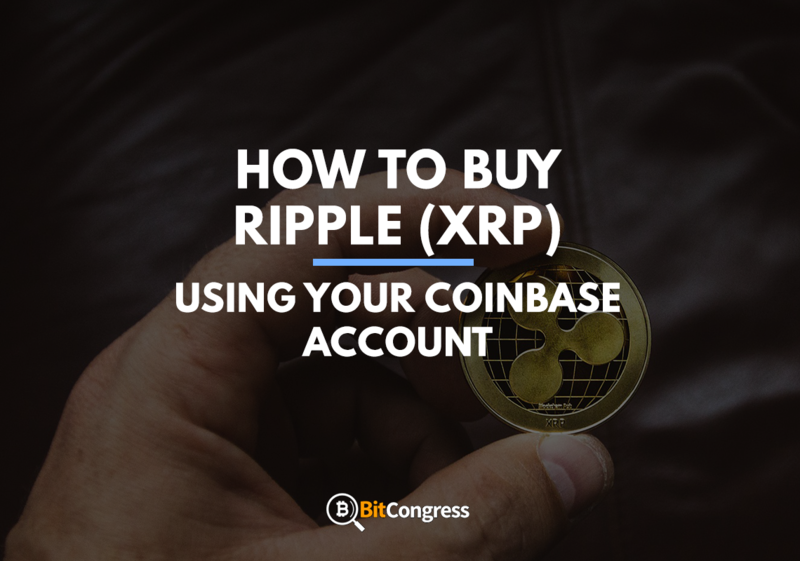 Step 3: Once your identity is verified, you can buy Ripple(XRP) by using your debit card, credit card or Bank account. High Trust Factor: Coinbase is among the first few exchanges which made it easy to buy and sell cryptocurrencies. They have a healthy user base of over 25 million worldwide. The interface is simple and buying XRP is simplified to the greatest extent possible. Low Limit: While other exchanges have a minimum amount of XRP which has to be bought, the limit on Coinbase is quite low. This makes it Ideal for beginners to test the waters of cryptocurrencies without having to spend a lot of money. Multiple Payment Methods: How many times have we abandoned an exchange because of payment issues? (I have quite a few times). Payment is not a problem here as there multiple ways to load your wallet. You can use a credit card, debit card or a bank account. One of those should get through, right? Highly Secure + Insured: Coinbase has the highest standards of security which safeguards your personal information and investments. In case anything goes wrong, they are even backed by insurance. Read this tutorial on the best XRP exchanges so that you easily can find the best exchange for your needs (payment methods offered, fees, and good customer support for example). Also, make sure to not keep all your capital on an exchange since it has a higher risk of being hacked than for example hardware wallets. Here you can find the best wallet for Ripple. 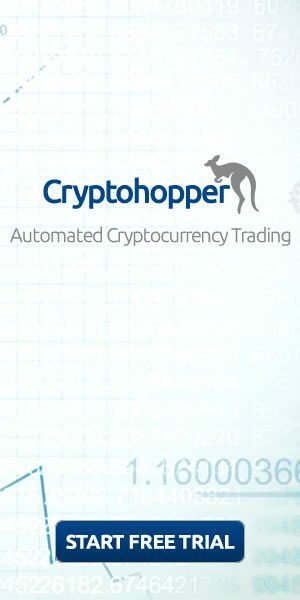 Best Crypto Trading Bots 2019 – Automated Crypto Profits!